Get ready to fall head over heels into white this year, from white hot long weekend celebrations to a sparkling white new year celebration, to bright-white winter getaways and everything in between. 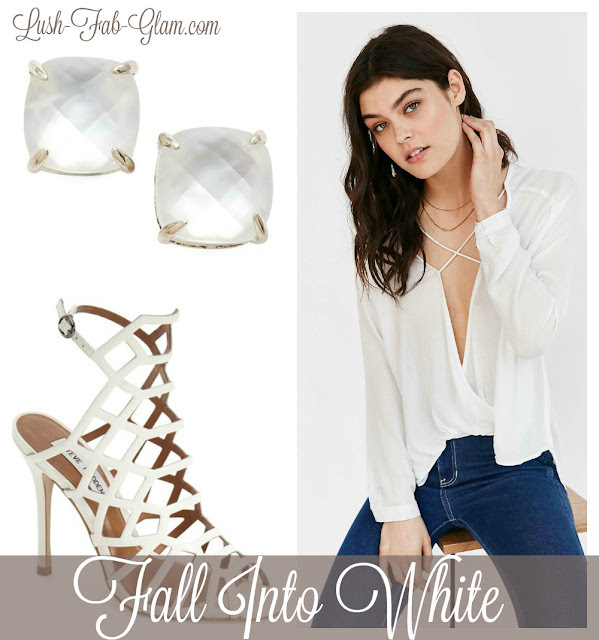 Get The Look: Browse through the gallery below to see more fabulous in white fashion and accessories. Plus get details and shop the items featured above and in the gallery by clicking on the images. Do you wear white after Labor Day and which featured style(s) is your favorite? Share with us by leaving a comment below. White is a lovely color, and I love it. This whole outfit is great! Blue jeans and white shirts are my fav all year long! I like white, but haven't worn it much since having little ones! It just doesn't stay white long!